Liczba stron: 927 Jest to ujednolicona liczba stron, która ułatwi Ci porównanie długości książek. Każda strona Legimi to 200 słów. Orphaned young Jane becomes governess to the children of the handsome Mr. Rochester, with whom she falls deeply in love, but the dark secrets of Rochester's past and outside influence threaten to swallow their budding romance.Narrated in the unforgettable voice of its remarkable heroine, Jane Eyre is a timeless tale of heartbreak, mystery, and romance. 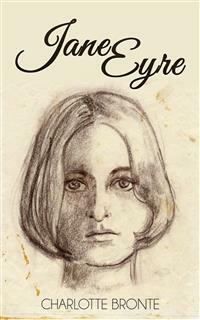 Jane Eyre by Charlotte Bronte first published in 1847. This edition published 2016 by Enhanced Media. All rights reserved. This work is respectfully inscribed by the Author. My thanks are due in three quarters. To the Public, for the indulgent ear it has inclined to a plain tale with few pretensions. To the Press, for the fair field its honest suffrage has opened to an obscure aspirant. To my Publishers, for the aid their tact, their energy, their practical sense and frank liberality have afforded an unknown and unrecommended Author. The Press and the Public are but vague personifications for me, and I must thank them in vague terms; but my Publishers are definite: so are certain generous critics who have encouraged me as only large-hearted and high-minded men know how to encourage a struggling stranger; to them, i.e., to my Publishers and the select Reviewers, I say cordially, Gentlemen, I thank you from my heart. Conventionality is not morality. Self-righteousness is not religion. To attack the first is not to assail the last. To pluck the mask from the face of the Pharisee, is not to lift an impious hand to the Crown of Thorns. These things and deeds are diametrically opposed: they are as distinct as is vice from virtue. Men too often confound them: they should not be confounded: appearance should not be mistaken for truth; narrow human doctrines, that only tend to elate and magnify a few, should not be substituted for the world-redeeming creed of Christ. There is—I repeat it—a difference; and it is a good, and not a bad action to mark broadly and clearly the line of separation between them. The world may not like to see these ideas dissevered, for it has been accustomed to blend them; finding it convenient to make external show pass for sterling worth—to let white-washed walls vouch for clean shrines. It may hate him who dares to scrutinise and expose—to rase the gilding, and show base metal under it—to penetrate the sepulchre, and reveal charnel relics: but hate as it will, it is indebted to him. CURRER BELL, December 21st, 1847. I avail myself of the opportunity which a third edition of “Jane Eyre” affords me, of again addressing a word to the Public, to explain that my claim to the title of novelist rests on this one work alone. If, therefore, the authorship of other works of fiction has been attributed to me, an honour is awarded where it is not merited; and consequently, denied where it is justly due. This explanation will serve to rectify mistakes which may already have been made, and to prevent future errors. Currer Bell, April 13th, 1848.